It’s that time again! 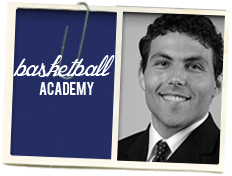 Every summer, Coach Pastner hosts a Basketball Camp designed for children and adults. Now you and your kids can practice just like your Tigers. Meet and learn from current and former Tiger players, assistant coaches, and of course, Coach Pastner! This is a great opportunity to stay active during the hot summer months. Check out the 3 different options below to decide which camp session best fits you! Sign up now or give as a gift! The perfect Father’s Day Gift, this camp will provide a unique bonding experience between father and child. The camp is tailored to enhance the father/child relationship through the game of basketball. Both children and adults will have fun playing basketball and learning the fundamentals while spending quality time together and interacting with Tigers coaches and players. Dads will learn drills and techniques to take home to help your child improve their skills and increase their love for the game of basketball. Make sure when you sign up that you are SPECIFIC about which session that you will attend, as each session is limited to 25 participants. Practice like the Memphis Tigers do!